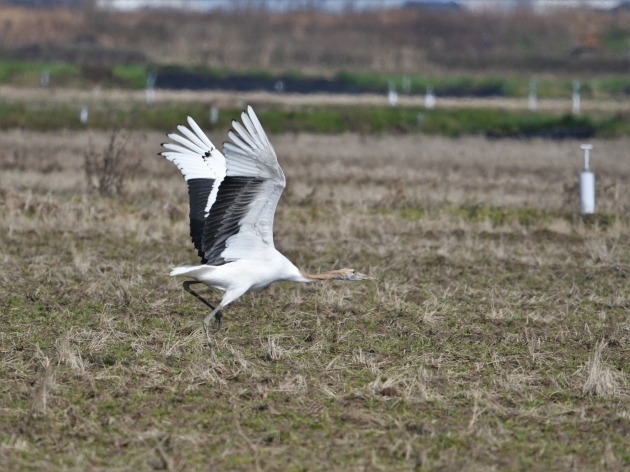 A young Red-crowned Crane was staying in Ishikawa Prefecture this winter. 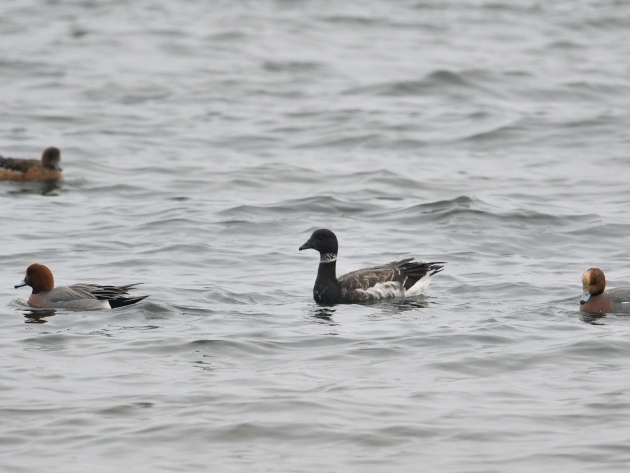 They basically inhabit only in eastern Hokkaido, and it's very rare to see them in other places in Japan. 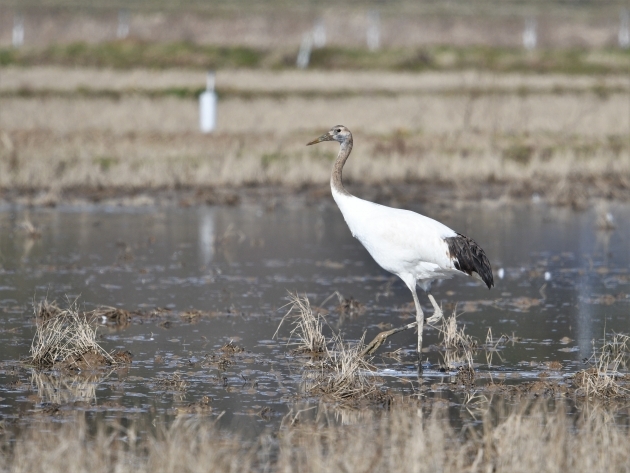 The young crane seemed to stay around a flock of Tundra Swans in a paddy field. It was very nice to see this beautiful and good bird. 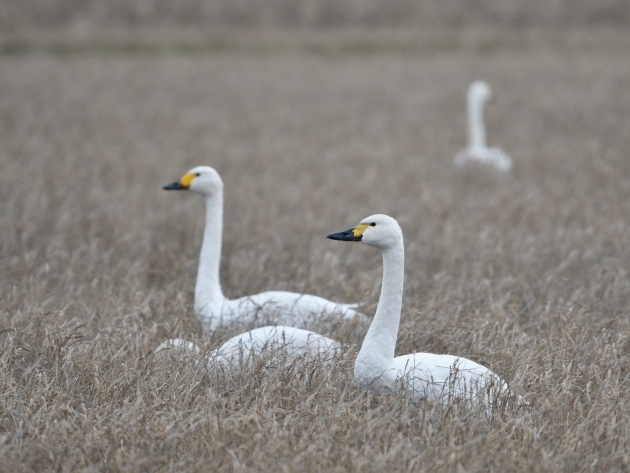 There were a lot of Tundra Swans in Ishikawa Prefecture. 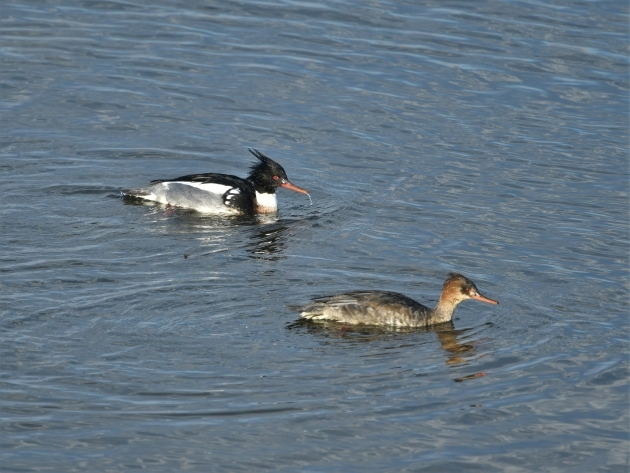 They didn't migrate to south as usual winter, so I didn't see so many of them in my home field Shiga in this season. 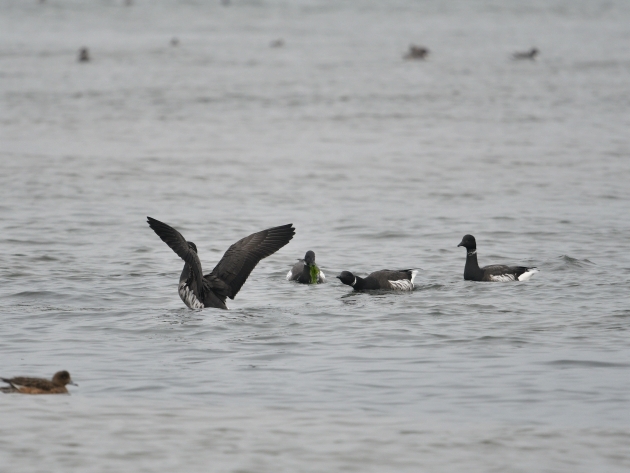 I saw some fo them at very close range at a river mouth in Mie. 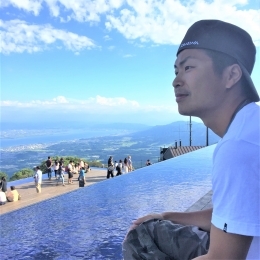 I can see them in my home field Biwako, as well. However, they are always quite far from the shore, so it was lucky to take photos of this beautiful bird like this. 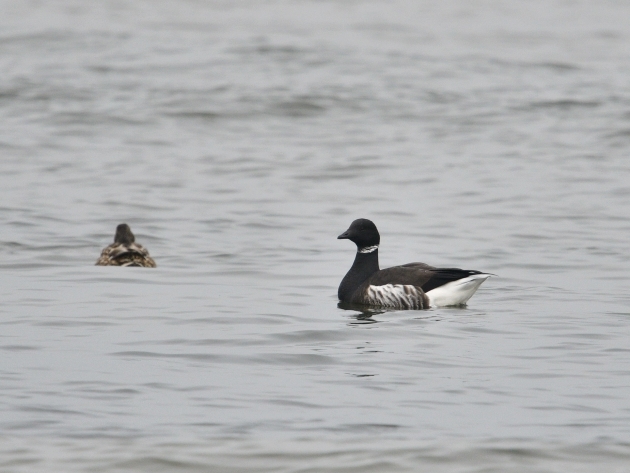 Adult Brant Goose in Mie. 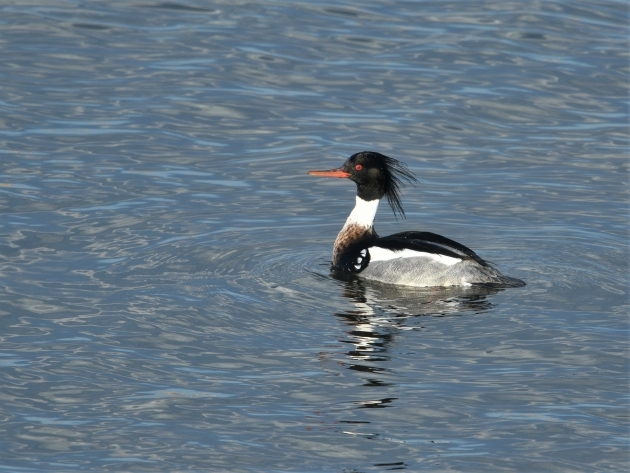 It is a pretty rare bird in southwestern Japan, but Mie is the place where we can see some of them every winter. 1st winter bird that has obvious white edges on some feathers. I saw a flock of 20 birds this time. I think this flock was a little bit larger than usual. Adult winter Black-headed Gull in Mie. 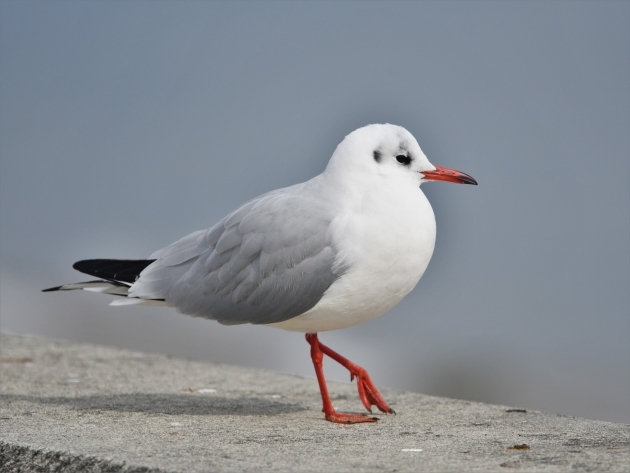 It is one of the most popular Gulls in Japan, and it will get a black head and go back north when spring comes.